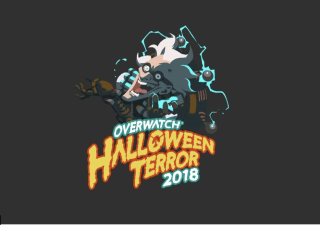 Blizzard has teased its upcoming Overwatch Halloween Terror Event, which will commence on October 9th. The company hasn’t offered full details as to what this year’s event will entail, but it did provide the following cryptic riddle for players to unpick. Previous Hallowe’en terror events have been some of the highlights of Overwatch’s calendar, offering a wide range of new skins for its colourful cast of fighters, appropriately decorated maps, and the exclusive PvE mode Junkenstein’s Revenge. It storyline pits a band of “adventurers” taken from Overwatch’s character roster, who battle against the Witch of the Wilds and the aforementioned Dr. Junkenstein. This years event will add a new bunch of legendary skins, which will cost 3000 credits, while skins from previous Hallowe’en events will also be available at a reduced cost.